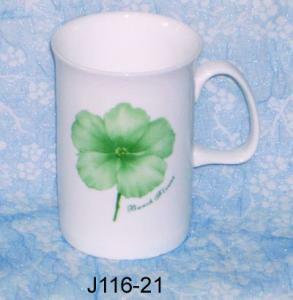 Bone China Mug, White Color w/2~4 colors decal on 2 sides. Packg: Abt. 48pcs/egg crate ctn./1.55?